Well, it’s August now and it seems we’re still dealing with the Roman Emperors invading our calendar. 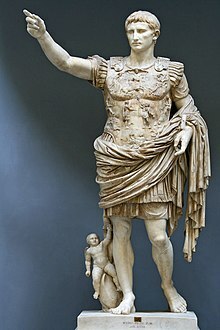 Augustus, about to punt that stupid baby. THE AUTOMATION got a 4.5/5 Talisman Review here. We posted another TEN MORE THINGS YOU MIGHT NOT KNOW ABOUT THE AUTOMATION – IN GIFS! And, as always, Gabbler Recommended some things and you can check out more stuff we like talking about in our Tweets of the Week here.